Description Promotional artwork for an electronic music event in Tel Aviv (Israel). 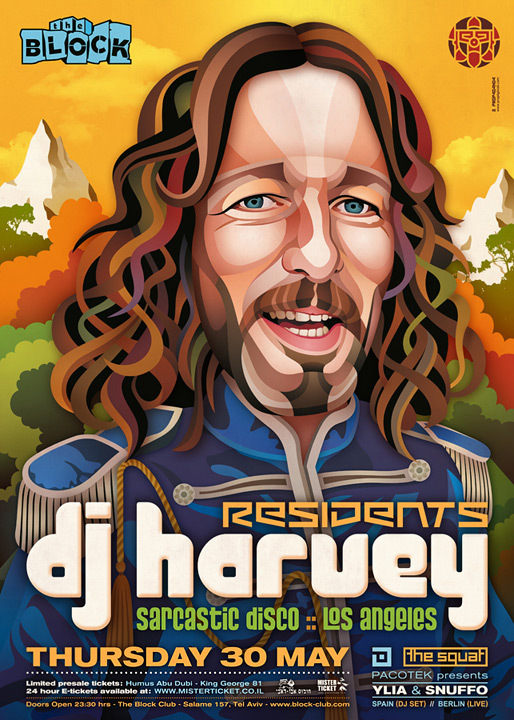 DJ Harvey (Sarcastic Disco :: Los Angeles). 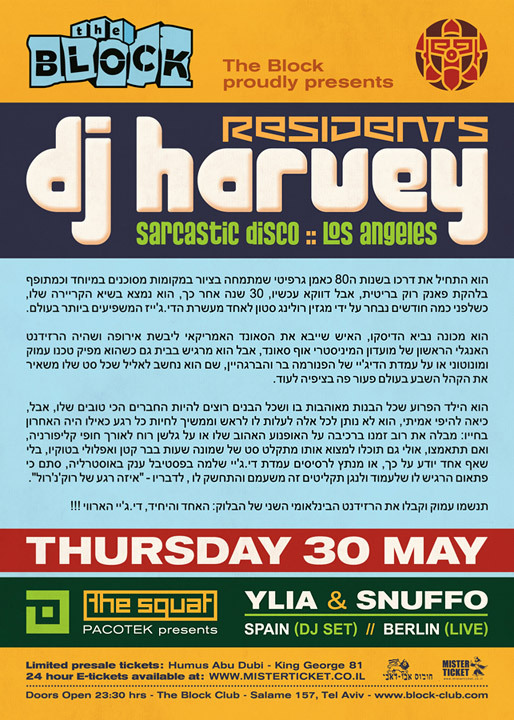 DJ Harvey is an international resident of the Block Club in Tel Aviv. This was the second night of the club's new line "Residents".